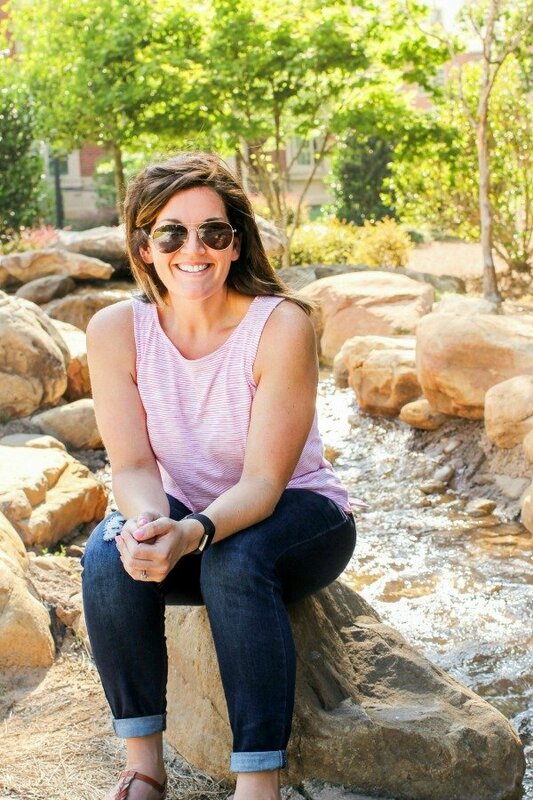 March 25, 2019 By Allyson 21 Comments This post may contain affiliate links. Read my disclosure policy. Pickup baby potatoes and grab spices from the pantry to make these delicious crispy Air Fryer Roasted Potatoes! Perfect side dish done in 20 minutes! 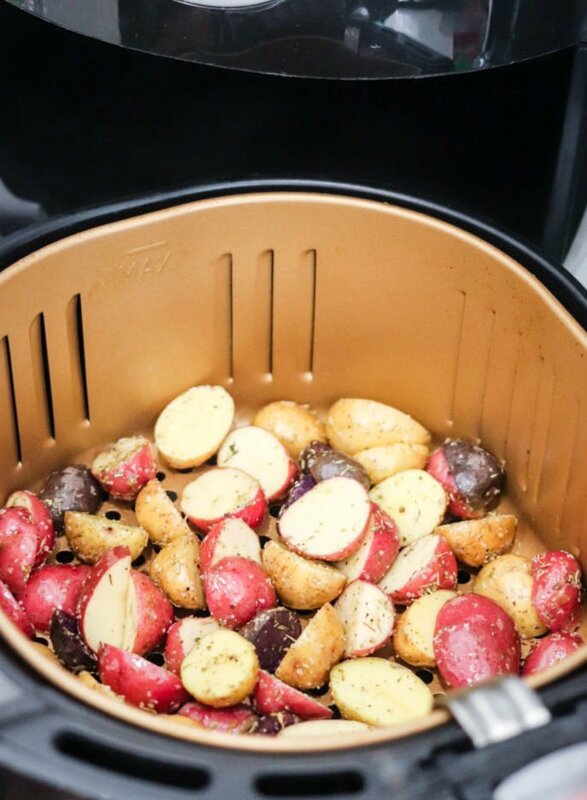 Making roasted potatoes has never been easier than when using an Air Fryer. Coat them with your favorite seasoning, olive oil, and don’t forget the salt, then pop them in the Air Fryer, set the timer and BOOM, this amazing side dish is ready to eat! 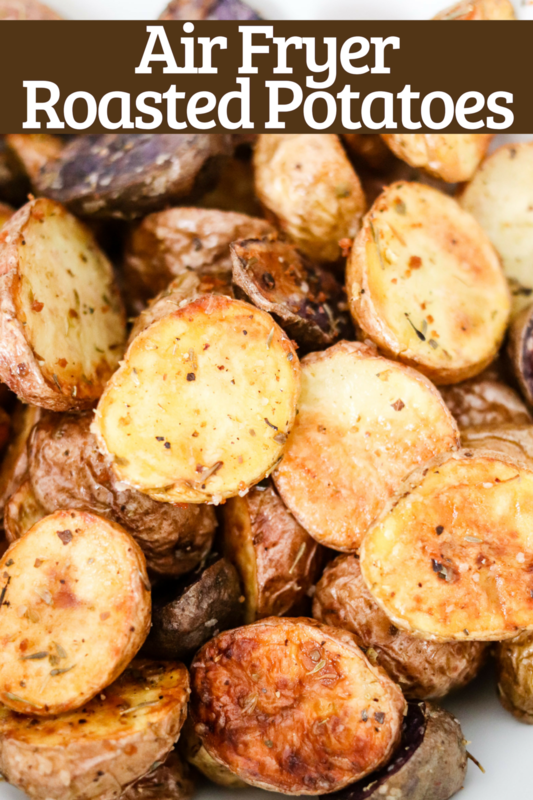 You can make Air Fryer Roasted Potatoes as a side dish, or load them up with delicious toppings and eat them as a meal! 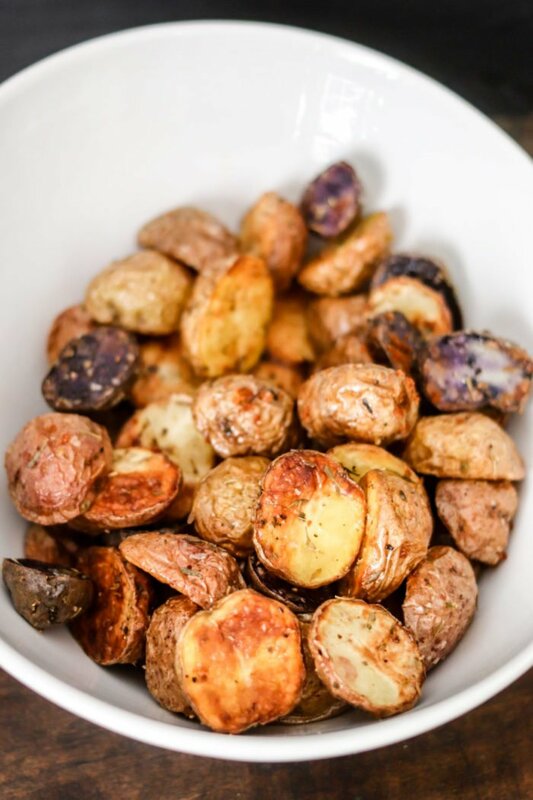 Air Fryer Roasted Potatoes are healthy and majorly delicious, much like Air Fryer Roasted Asparagus, Air Fryer Roasted Broccoli, or Air Fryer Asparagus Fries! 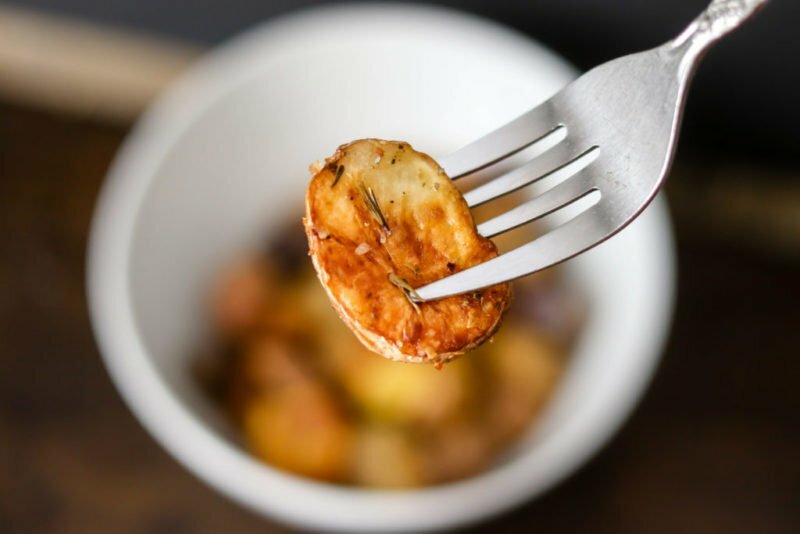 First thing is first, you must have an Air Fryer to make these amazing Air Fryer Roasted Potatoes! I really like my Air Fryer XL (no air fryer? scroll down to see my recommendations)! Making these couldn’t be easier – only a few ingredients and they come together in minutes, and cook in 20 minutes! WIN WIN! 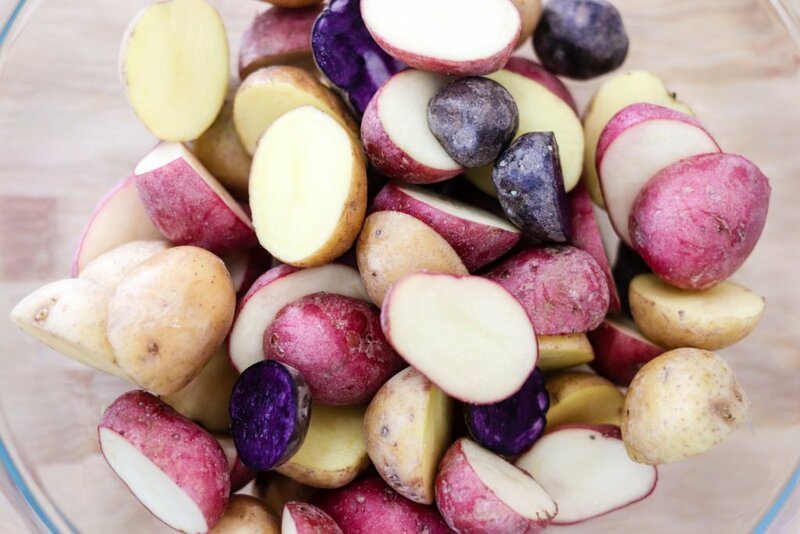 Prep the potatoes; wash and cut them in half. Place into a medium to large size bowl. Add olive oil, spices, and toss to coat. 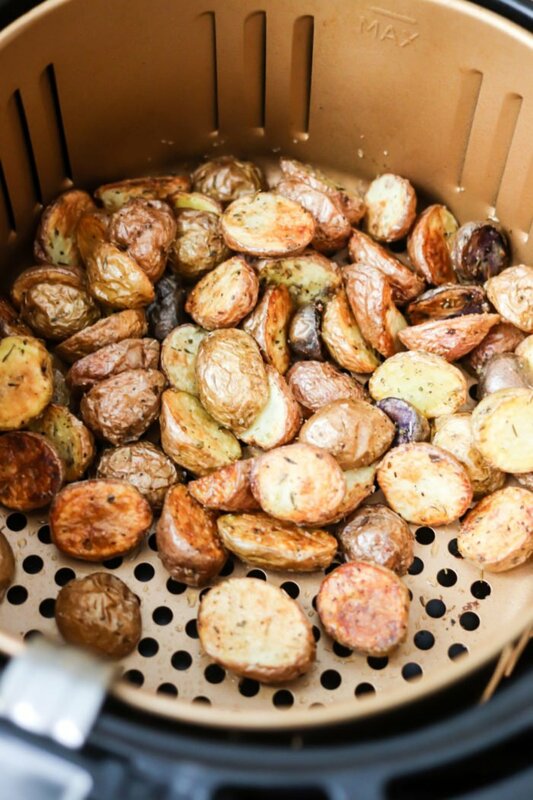 Add the coated potatoes to the air fryer tray; spread into an even layer. Turn the air fryer to 400 degrees, and set for 20 minutes. After 10 minutes, open the basket and quickly shake the potatoes, close and turn back on for the remaining 10 minutes. When the time is done, remove the basket and toss the potatoes lightly. Serve immediately to set aside and save for later. 30 Minute Loaded Vegetable Pot Pie is packed full of veggies and is sure to comfort! So delicious and quick to make! Crispy Coconut Chicken Strips with Peach Curry Sauce are a great dinner solution that comes together in just a few minutes. With a delicious panko coconut crust and the perfect sauce, this is a dish your whole family will love! Simple Wedge Salad with Homemade Blue Cheese – Super delicious and takes 2 minutes to make! 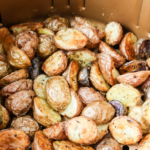 Are Air Fryer Roasted Potatoes healthy? YES! These potatoes are SO healthy!! 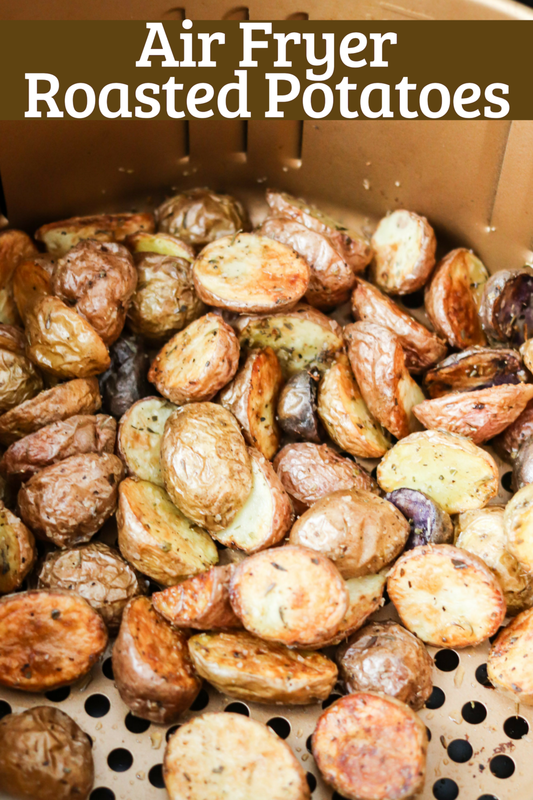 Air fryer roasted potatoes contain 113 calories per serving, 5 grams of fat, 18 grams carbs, 2 grams of fiber, and 17 grams of protein. They also contain 38% of your daily recommended vitamin C! No air fryer, no problem! What type of Air Fryer should I buy? Air Fryer Roasted Broccoli is an incredibly easy, quick, and delicious side dish. This lower calorie air fryer option will become a staple side dish! Air Fryer Roasted Asparagus has only 2 ingredients and takes a fraction of the typical time, this will be your favorite way to cook asparagus! 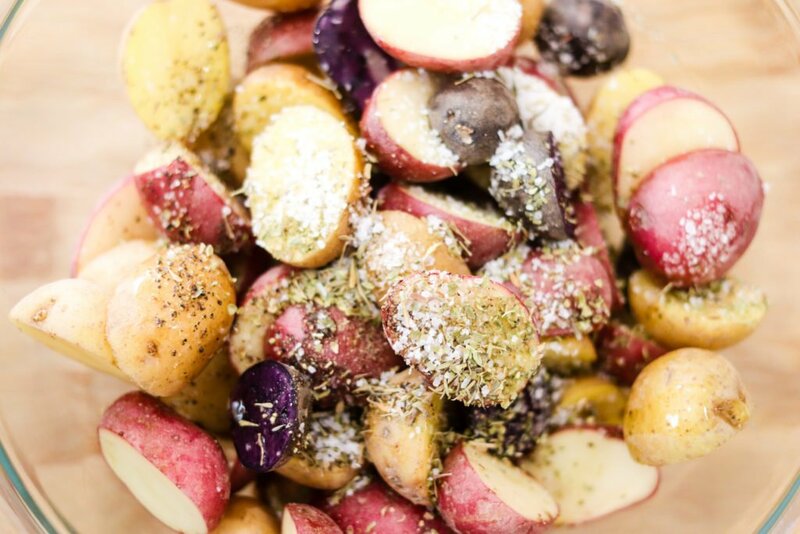 Add prepped baby potatoes to a large/medium bowl. Add olive oil, basil, oregano, thyme, salt, and pepper. Toss to coat. Add potatoes to air fryer basket and spread into an even layer. Close the basket. Set the air fryer to 400 degrees and 20 minutes. After 10 minutes open the air fryer and shake the basket to toss the potatoes. Close and continue cooking 10 minutes. Remove the basket and shake to toss the potatoes. Serve and enjoy! Nutritional information per serving (4 servings): 113 calories, 5g fat, 18g carbohydrates, 2g fiber, 0g sugar, and 17g of protein. Crispy potatoes are the best! Looks so good and easy too! I don’t have an air fryer yet, but I am sold! Gonna get one asap! You need this appliance in your life! I don’t have an air fryer yet, but I am sold. These look perfect! I loved them!! My kids enjoyed them too! Can’t wait to make it again! LOVE these potatoes. So tasty! Oh yes, you definitely need it! These are so crispy and delicious! A family favorite! So good! Love air frying!! 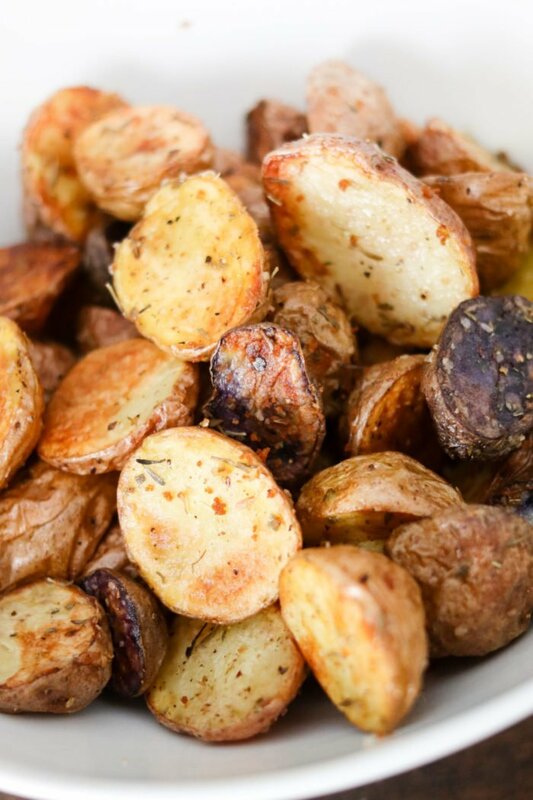 Love these roasted potatoes! They were so easy to make! Literally does not get easier than this! These look perfectly crispy and delicious! Yum! They really are- so good! These look perfectly crispy and golden! So delicious; my kids will eat these up like popcorn! #TeamAF all the way ! What a great use of the air fryer! I have to use this recipe soon!